Nantucket Energy announces it has achieved multiple milestones for a small startup business by celebrating 10 years in business as 2018 draws to a close. What better way to commemorate this special time than by highlighting their achievements in innovational design and leadership within the propane industry, as well as the company’s successful goodwill campaigns. How does a family-owned, local propane service provider gain national recognition in the propane industry? For starters, they built additional storage for propane and then proceeded to design a customized bobtail to help improve efficiency in delivery (despite the logistical challenges of operating on a 105-square-mile island). Also, while they trail-blazed and forged their way into new territory, Nantucket Energy donated a percentage of every propane grill tank refill to local non-profits in 2017 and 2018. 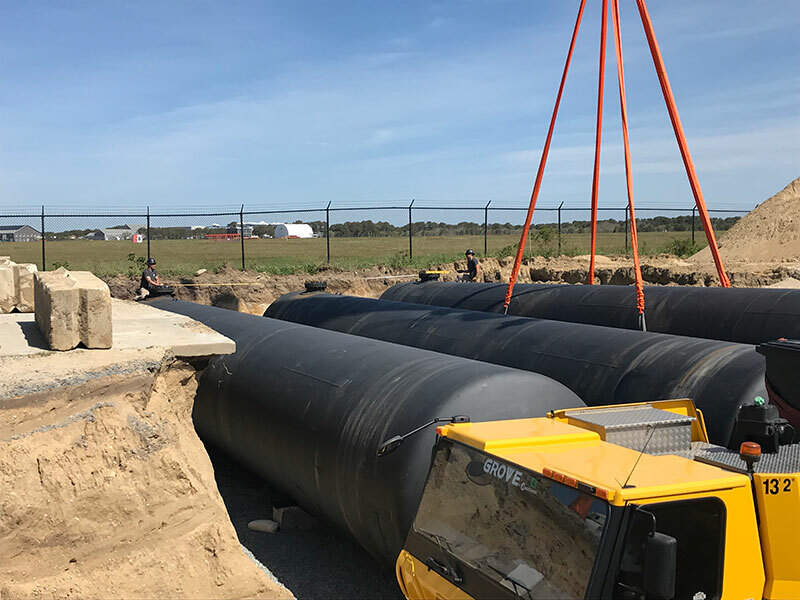 Philip Marks III, the owner and co-founder of Nantucket Energy, has 120,000 gallons of underground bulk storage and added another 90,000 gallons this past August, with a total of 210,000 gallons of propane storage on island. Additional storage is a must-have when working on an island, especially during the winter when the operation can go days without a delivery. The bulk storage helps ensure the operation has fuel available, while the recent addition of a customized bobtail ensures that customers get the fuel when they need it. Marks worked with Exosent Engineering, a transport manufacturing company in Texas, to build a bobtail that is lightweight, has improved storage volume, is safe, and was built knowing that the driver is working on a small island. Read more published on IPGasMagazine. 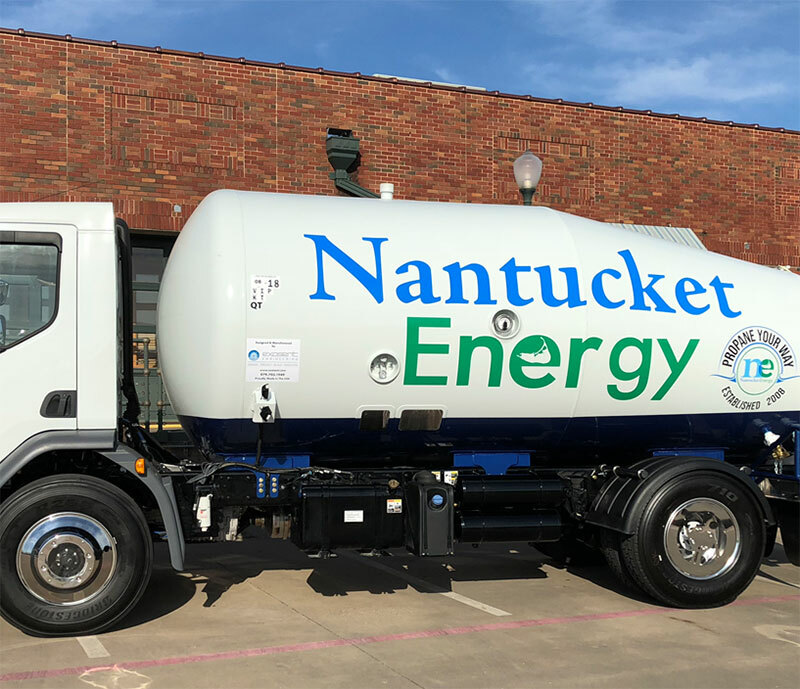 Thinking beyond the obvious need of propane heat during the winter months, the team at Nantucket Energy developed a summer goodwill campaign called Give Back to ACK. With hashtag #ShareTheNantucketEnergy. It was launched in June 2017 and again in 2018. June through September, a portion of proceeds for every NE grill tank purchase or exchange was contributed to the following non-profits: Swim Across America, Nantucket Boys and Girls Club, The S.T.A.R. Program, The Marla Lamb Foundation, Senior Salt Marsh Center, and the Nantucket Energy Scholarship Fund. Nantucket Energy has achieved significant growth since its inception in 2008. Over its 10-year history it has offered heating and fuel services generating competitive pricing and savings options for customers. It was the first to offer electronic tank monitoring systems while always providing reliable customer service.